It's confetti time! 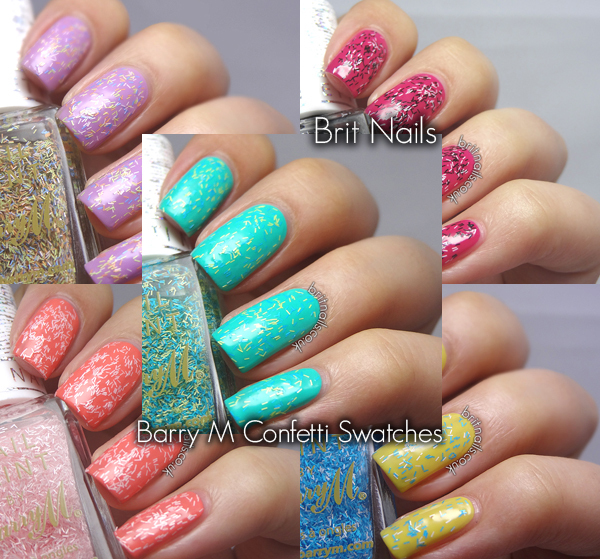 Swatches and review of all 5 brand new Barry M Confetti polishes after the jump! 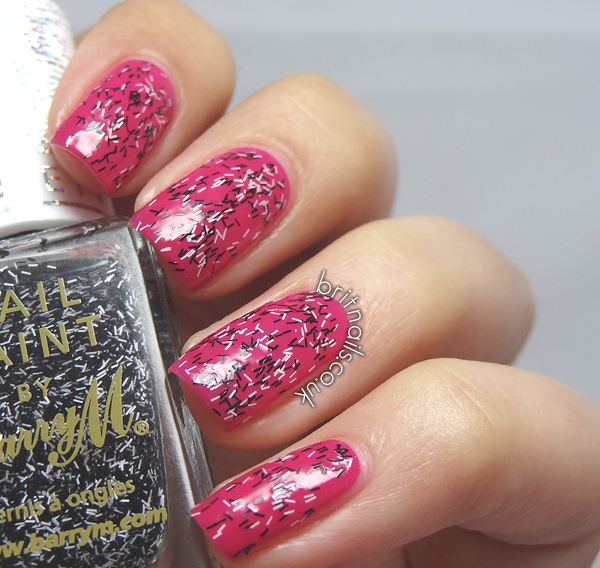 So who has been So who has been looking forward to these Confetti polishes!? 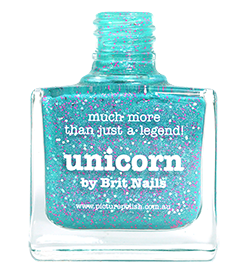 I love it when Barry M makes the trends affordable! These polishes are mixed colours of bar glitter in a clear base and are similar to the Nails Inc. Feather collection and the Sally Hansen Fuzzy Coat collection. You could even do more coats than that, if you wanted to. The glitter lies flat and doesn't need taming too much if you only use 1 or 2 coats, I've only used 1 layer of top coat in my swatches. Having said that, I wouldn't recommend going for full coverage without a base colour underneath! The best thing to do is pick a colour in the glitter, so for the above I'd choose a blue, and layer it up over that. Don't forget to give the bottles a really good shake before you use them! 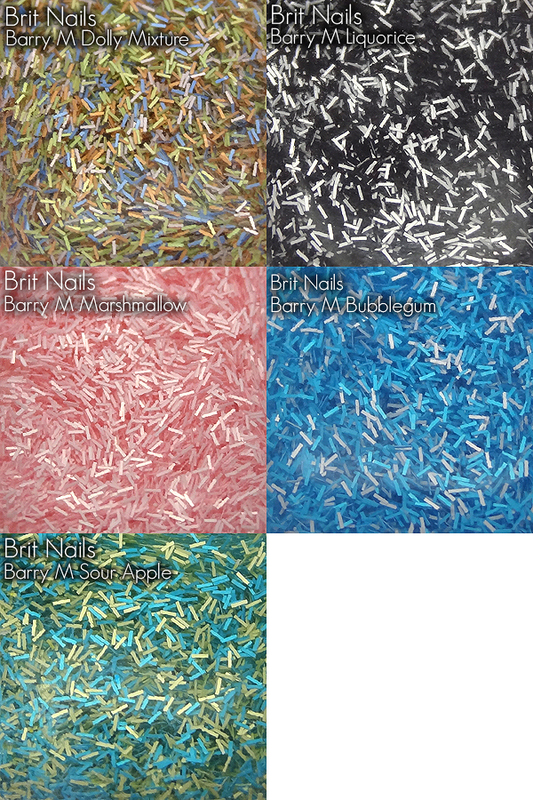 Dolly Mixture is a mix of pale blue, yellow and peach confetti pieces and is similar to Nails Inc. Chester. I've layered 1 coat over Barry M Berry Ice Cream. Liquorice is black and white pieces. I've layered one coat over Barry M Shocking Pink. 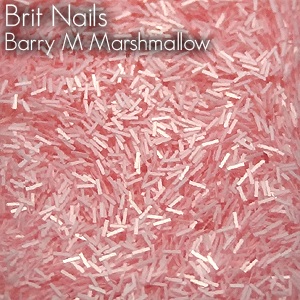 Marshmallow is pale baby pink and white pieces and is similar to Nails Inc. Cornwall. I layered one coat over Barry M Papaya Gelly. Bubblegum is bright blue and white pieces. I layered one coat over Barry M Lemon Ice Cream, because I can't resist the combination of blue and yellow! Sour Apple is aqua green and yellow pieces and is similar to Nails Inc. Brighton. I layered 1 coat over Barry M Greenberry Gelly. This is my favourite combination! 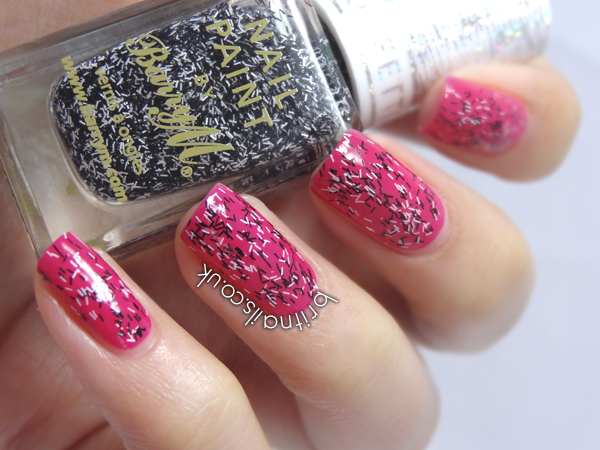 I wasn't sure about the confetti effects, especially seeing some swatches, but I really like your colour combinations! Especially the sour apple and greenberry gelly one, so maybe I will get some when they hit the shops. These are so pretty. I love the effect that the bar glitter has and the color combinations are great! I've always loved bar glitter. Love your color combos! Dolly mixture is my fave. I love the macro shots they show the colours really well. I do love the colour combos but its a little difficult to see the actual product. They are very pretty! Love the colour combos too! these are the best swatches of these toppers I have seen! all looks so pretty. Thank you! That's really nice to hear! im not a big fan of bar glitter, but i LOVE that black and white one! I hadn't seen those! DL keeps bringing out new stuff! Ooooh I love the macro photos! I love the blue and yellow one, it reminds me of those little pineapple cakes you can get in Firkins Bakers, haha!